Oceanside in San Diego County is a quintessential Southern California beach town with six miles of white sandy beach, a wooden pier built in 1888, and a colorful, quirky harbor village. The town has been attracting tourists from the beginning of the 20th century with its perfect climate, the well-preserved historic district, and a fun, relaxed atmosphere. 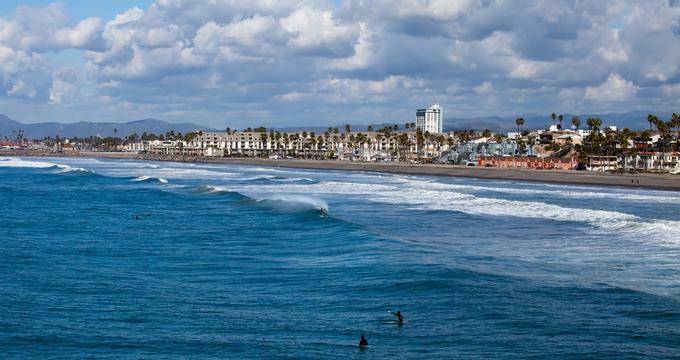 Here are the best things to do in Oceanside, California. The Oceanside Pier in Oceanside, California offers a large array of activities to those who seek some adventure out in nature. The shoreline provides boating enthusiasts with nearly a quarter-mile of perfect sand to launch their sailboats. There is a large marina and a marine base, and you can always find an isolated spot or two for launching your boat. The pier is one of the top Oceanside attractions. For those who are more into fishing, the 1600-foot pier has a variety of local species to catch. It also has picnic areas for those who want to stop and eat their lunch, take a break in the shade or use the barbecue grills in each area. For those who love the water, they can go out surfing and do some sea bird watching from the water or the shoreline. Finally, there are plenty of coastal walks and restaurants along the harbor beach to keep everyone busy. 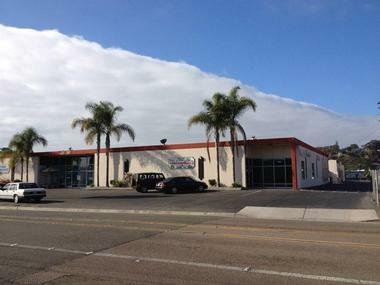 The Oceanside Museum of Art opened its doors in 1997 and began providing exhibitions and public programs to the residents of Oceanside. The aim of the museum is to celebrate the inspiring power of the arts and the culture that accompanies it. The museum offers over fifteen contemporary art exhibitions a year and puts on concerts, films, and culinary events as well as tours and fundraising event opportunities. The museum is non-profit and welcomes all visitors of different cultural backgrounds and walks of life. 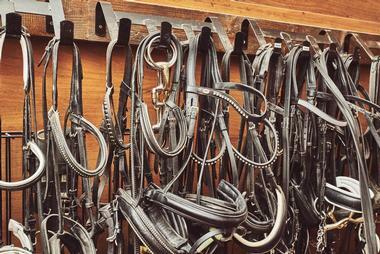 It is a nationally acclaimed gathering place. The museum looks to provide engagement, education, and inspiration to all who come to admire the artwork. The museum is open to the public between Tuesdays and Saturdays. 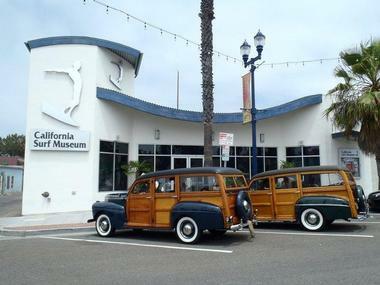 The Oceanside Museum of Art is one of the best things to do in Oceanside, California. Harbor Beach consists of a quarter mile of sand, shoreline, and street. The beach has volleyball courts, sheltered picnic areas for those who want to stop in the shade, a playground, and jetties, which are popular with fisherman. Those who want to come and surf will do so in their own separate zone, as will those who want to swim. From body boarders to surfers to boat enthusiasts and fisherman, the beach is shared amongst both locals and tourists. If you are wondering what to do in Oceanside with kids, this is a great place to visit. When it comes to facilities, there are restrooms, fire rings, and beach showers as well as picnic areas and restaurants all along the street. One of the major draws of Harbor Beach is its local variety of fish and its coastal walking trails. During the busier months there are lifeguards at their respective towers and multiple paid parking lots. The California Surf Museum, founded in 1986, chronicles the first twenty-five years of the museum's growth as well as its beginnings. The museum aims at serving as a resource center for those who want to come and learn about surfing, the lifestyle associated with it, and the art and culture that surround it. The Sunset Market offers residents and visitors the opportunity to take part in a variety of family-friendly events throughout the year. The market has a large selection of hot food offerings and merchandise items, as well as live entertainment throughout the year. It debuted in August of 2007 and has been going strong ever since. 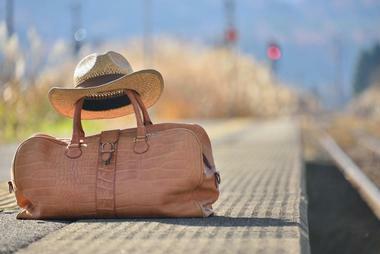 Throughout the year, the community gathers once a week, delighting both locals and tourists. The market has various events that take place throughout the year, including author’s night, an international food court, public safety night, world marketplace, and fresh and ready row, as well as various vendors. Old Mission San Luis Rey was founded in 1798, and it then proceeded to go through five different periods of occupation including: Luiseno Indian, Spanish Mission, Mexican Secularization, American Military, and the Twentieth Century Restoration. The mission consists of a ministry of Franciscan Friars within the province of Saint Barbara, who keep the community alive and well through various community fundraising events throughout the year. The Oceanside Farmer’s Market offers local residents as well as tourists a large selection of fresh produce, flowers, artisan baked goods, organic choices such as honey, and dozens of other food items such as oils, dips and sauces. The market also has multiple vendors that come to sell hand-made crafts, including soaps and lotions, clothing, photography, and jewelry. 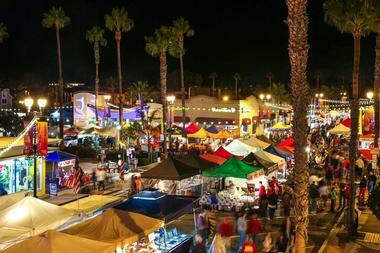 The market is held in downtown Oceanside on every Thursday of the year, weather permitting, and it is a great place to try new food, especially at the hot food booths that sell ethnic foods, crepes, sandwiches, gyros, paninis, and much more. Spend a night or two sleeping under the stars, camping at Guajome Regional Park. There is so much to see and do here, and the park is located close to many entertainment opportunities and historical points of interest. You can camp, picnic, hike over the 4.5 miles of park trials, bird watch or even play a game of basketball all in one day. There are two ponds that are home to a wide variety of birds and fish where the fishermen can relax and put up their feet. 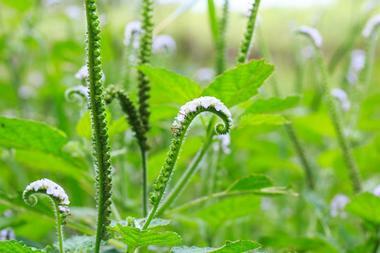 Wander through the contrasting landscapes of woodlands, chaparral, wetlands and grasslands. Guajome Regional Park is located only 8 miles from the Pacific Ocean making it the perfect family vacation. 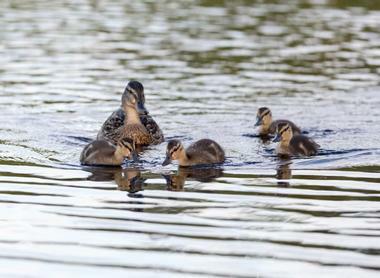 Located on the north edge of the Buena Vista Lagoon is the small but fascinating Buena Vista Audubon Society and Nature Center. Inside the center you will find several displays and exhibits that showcase the native plant life and wildlife of the San Diego area. The displays have been crafted to recreate a true representation of natural habitats and contain exhibits of taxidermy and living plants. 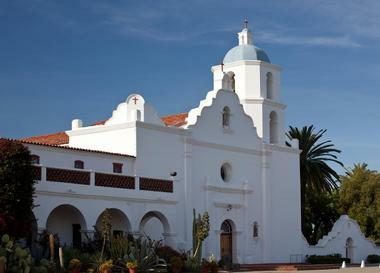 Nestled on two acres a short distance from the San Luis Rey Mission is the Heritage Park Village and Museum. Once the original town center, the two-acre park was set up as a permanent memorial to Oceanside’s heritage. Here you will find the original General Store, a blacksmith shop, stables, a jail and many other buildings. The town center was chosen due to its location on the old Spanish exploration trail, which later became a stagecoach route between San Diego and Los Angeles. Situated in the middle of the town center is a beautiful pavilion and grass area for families to relax and take in their surroundings. Learn about the history of Oceanside and the important role it played in the movement of early Americans. 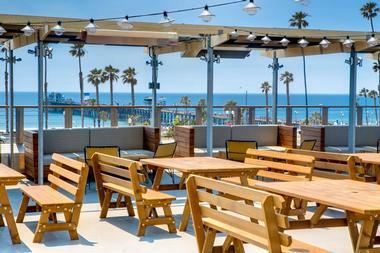 What could be more SoCal than sitting in a rooftop lounge, sipping a margarita, and munching on fresh fish tacos? That is the scene of Hello Betty Fish House, a spacious, comfortable indoor-outdoor space where you can linger over your tacos as long as the margaritas are flowing. Funky décor with a ton of photos on the wall might keep you indoors, but all the fun is at the rooftop lounge. You can watch the sunset, people watch, get some oysters or fresh ceviche, try some of the local craft beers, or stick to margaritas. Whatever you choose, you will have a great time at Hello Betty. 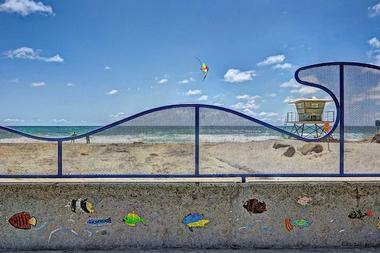 Located just a few minutes away from the Oceanside Pier is Tyson Street Beach and Park. There are stunning vistas in all directions, whether you look back towards the Pier, towards the city, or out to sea. The park is located just feet from the beach, making it popular for families and holiday goers. The sea here is calm, making it perfect for families with young ones, and it is patrolled by lifeguards in the summer. The park has plenty of grassy spots and tables for a picnic, benches to rest on and watch the world go by, and a playground for the children. Family fun is the aim of Tyson Street Beach and Park so bring your family along for a memorable day out. Sitting down with a cup of your favorite coffee, tea, or other morning beverage,at the Succulent Café guarantees that your day will start well. The place is snuggled in a tiny courtyard that the owner Peter Loyola turned into an enchanting garden bursting with all kinds of succulents. Succulents drape the windows, run up the walls, and are tucked into any kind of object imaginable, from an old shoe to the hole in the wall. The result is beyond Zen – you can almost breathe peace. Small bistro tables encourage intimacy and quiet contemplation. There is large selection of hot and cold caffeinated and non-caffeinated drinks of every flavor you can imagine, as well as chocolate, smoothies and pastries. Visiting Succulent Café can easily become a habit. 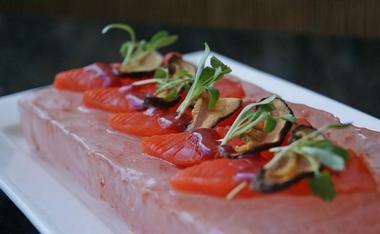 Harney Sushi’s Oceanside location is a 3,500-square foot visual delight. The 155-seat super modern restaurant has enormous floor-to-ceiling windows and more art on the walls than the average gallery. Its famous sake bar, with 40 of the best premium sake in the world, is hidden behind a 600-gallon fish tank. There is also a waterfall, soft music, and just what you came for, 35 varieties of some of the best sushi you will find anywhere. Zagat and other reviewers agree. Try their popular Maui Waui roll stuffed with crabs and shrimp tempura and piled with eel, avocado, seared albacore, chili oil, green onion, ponzu, and masago. If you are not fond of sake, have something else to drink. They have great cocktails, some nice microbrews, and approximately 50 well-selected wines. 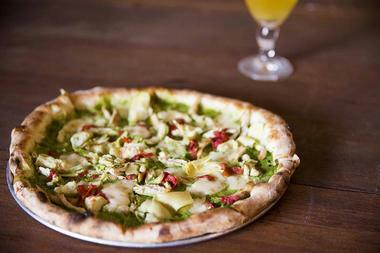 Privateer’s pizzas are baked in their seven foot, 6,500 pound coal burning oven. “So what?” you might ask. The oven is what makes their absolutely superb Neapolitan pizzas thin and crunchy on the outside and soft and delicious on the inside. And whatever they put on it gets cooked to perfection in only four minutes. All veggies are super fresh and come straight from the nearby Cyclops Farms. That oven is the reason so many people flock daily to this rustic space with high ceilings, industrial touches, and a lovely patio. If you ever come with some strange person who does not like pizza, not to worry – at Privateer they also make great fresh soups and salads, sandwiches, and some interesting, quirky appetizers. Check out their 15 beers on tap, including some great local crafts. Usually breweries just open a restaurant to offer their customers something to eat while tasting their brews. Breakwater started with a restaurant, got everything running smoothly, and then attached a brewery to their customers’ eternal delight. Just around the corner from the iconic Oceanside pier, Breakwater is now serving up to 18 house-made craft beers on tap and, to show that they have nothing to fear from competition, 25 competitors’ beers from local and far-flung breweries alike. They make great pizzas to go with all the beers, a variety of pub grub, including six kinds of wings, paninis, breadsticks, and much more. The atmosphere is lively with eight flat-screen TVs and a several pinball machines and video games. If you are one of those who love a good beer after a long day of exploring, make a trip to the Legacy Brewing Company, which doubles as both a brewery and live music venue. With twelve specialty beers on tap, there are plenty of flavors to satisfy even the fussiest of connoisseurs. If you’re brave, try the full flavored Clan Ross Scotch Ale, which originates from Edinburgh, Scotland. Hellfire IPA, the Chesty Irish Red, Founding Father’s Nut Brown Ale, and many others take you on a voyage around the world without leaving the comfort of Oceanside. Flavors have been influenced by Ireland, Scotland, Germany, Belgium, America, England, and Russia. Grab your friends, your partner, and head out for a fun night at the Legacy Brewing Company. 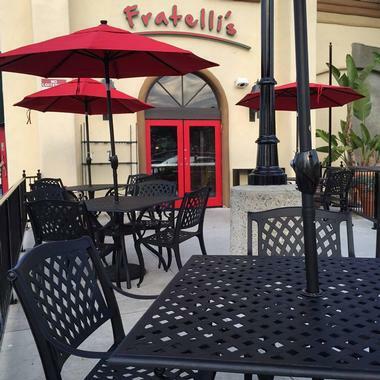 Brick walls, intimate high backed booths, and the divine smell of tomatoes, garlic, and herbs constantly wafting out of the kitchen are just a few of the elements that make Fratelli’s so popular for family celebrations. Lively, friendly, and comfortable, it is the place where people like to share dishes and taste things from each other’s plates. The menu is traditional Tuscan, with great hand-made pizzas, in-house pasta sauces that have been cooked for hours, organic local salads, and fresh local catches. Their signature meat lasagna is legendary, while their tantalizing baguette sandwiches are perfect for takeout. The restaurant has a respectable selection of wines, both local and from the Old World. 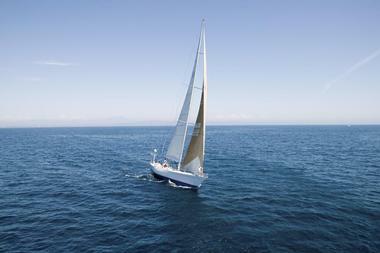 Now that you have explored Oceanside by land, head out onto the water with a Sailing Blue Water Charter trip. Step on board the 35.5-foot yacht Breath of An Angel and feel the sun, fresh air, and wind on your skin. They offer fantastic tours to suit the entire family, including a daily sailing charter, whale watching, and harbor cruises, which are available all year round. Watch dolphins swim in the wake of the bow as you head out to find migrating whales and seals. With a number of charters available, you can visit the Catalina Island or another destination of your choice. It’s the perfect way to see Oceanside. 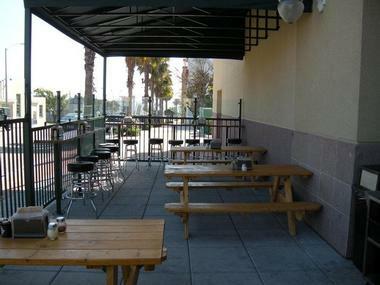 The Oceanside Broiler is situated right on the water. You can watch boats pass by or the distant horizon over the ocean while sipping your Bloody Mary or a glass of California wine. The view is spectacular, whether you are sitting in their elegant dining room with a wall of glass or on one of the two spacious outdoor patios. The inside dining room has a magnificent large aquarium, but the real showstopper is the open kitchen where you can watch the chef weaving his magic. The Broiler serves juicy steaks and fresh seafood, and it has 10 craft beers on tap, interesting, unique cocktails, and a nice wine selection. The best time to come is for their Sunday Brunch, which features a buffet with a bit of everything the restaurant offers. Sunday Brunch is served in their elegant ballroom. 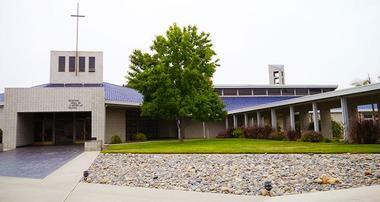 Peace, beauty, and spirituality all await you at the Prince of Peace Abbey. Located on the top of Benet Hill, the Benedictine monastery is home to over twenty monks. The gift shop, library, Prayer Walk, and cemetery are all open to the public. The Prince of Peace Abbey offers retreats for those interested in developing a spiritual life in a place of seclusion – guests can stay for one night or longer. A gift shops carries a wide range of catholic merchandise, from sacramental items and Benedictine items to books, and statuaries. A trip to the Prince of Peace Abbey offers the chance to get a glimpse into a way of life normally off limits to the public. If you did not know that Oceanside is a surf town, you will figure it out once you enter Beach Break Café. The place is a veritable museum of surfing with surfboards decorating every inch of the walls. Surfing photos decorate anything that is not covered by surfboards. Over the top? Touristy? Maybe, but the locals do not mind, and they are turning up every Sunday for the fabulous, traditional American breakfasts with huge portions and an exceedingly popular, enormous piece of coffee cake. The menu is uncomplicated and offers burgers in any shape, size and form, sandwiches, again in any combination you want, and, what they call “other stuff” such as salads. But breakfast is what the Beach Break Café is all about, and they offer an enormous choice of eggs, sausages, steaks, pancakes, waffles and anything else you imagine. Sun, sand, and wine – that’s the award winning combination of Beach House Winery. 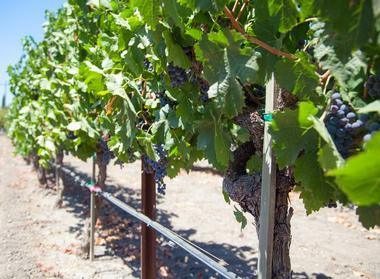 Located just a few blocks from the beach, the winery offers panoramic views of the Pacific Ocean and the North Country. Vigna Al Mare (Vineyard at the Sea) is internationally recognized for its Viognier, Chardonnays, Rosé, Grenache, Syrah, and Zinfandel wines. A family run vineyard, Beach House Winery invites you to come and relax in the simple, yet stylish tasting rooms with a wine tasting every Saturday and Sunday from noon – 4pm. A trip to Beach House Winery is a perfect way for couples and friends to spend a relaxing afternoon. The Coaster is a commuter train that takes travelers from Oceanside, California to downtown San Diego. The coaster train has one hundred and twenty-six services running each week, and offers expanded service during the spring and summer months. The train offers an alternative to those who do not want to travel on congested highways and those who want to reduce their carbon footprint. The aim of the train is to improve air quality by reducing the number of vehicles on the highway, and it intends to provide passengers with several mobility options by offering them access to other trains and busses. The route takes passengers along a 41-mile coastal rail system that is broken up into several different zones. The fare will change depending on how many zones you wish to travel through, and if you are a regular commuter, you can take advantage of their program that guarantees a ride home during business hours. Wrench & Rodent Seabasstropub is quirky, with eclectic décor that ranges from Victorian sofas to Mexican antiques and fish skeletons. At this eatery, you can expect the unexpected, and Executive Chef Davin Waite does not disappoint. 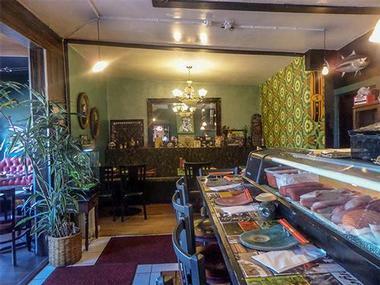 His curious take on sushi produces a number of truly unique concoctions. All ingredients are locally grown, freshly caught, or made from scratch. He serves only what is in season and takes sustainability seriously. At Wrench & Rodent there are no additives or chemicals, only very good food. Try fish skin crisps as a starter, and definitively check out the choice of house rolls. For example, try the Wet Brain, which has shiitake mushrooms stuffed with deep-fried spicy tuna and crab and served with root beer teriyaki, scallions and shaved dried bonito.